A few months ago my doctor put me on a low FODMAP diet for a few weeks. It was a pretty restrictive diet and, unfortunately, those few weeks included the Super Bowl. We were hosting a party and had asked all our guests to bring some snacks to share. I figured many of those snacks would include dairy, beans, onions or another one of the many items on my “do not eat” list so I decided to make a couple of things that I knew I would be able to eat. 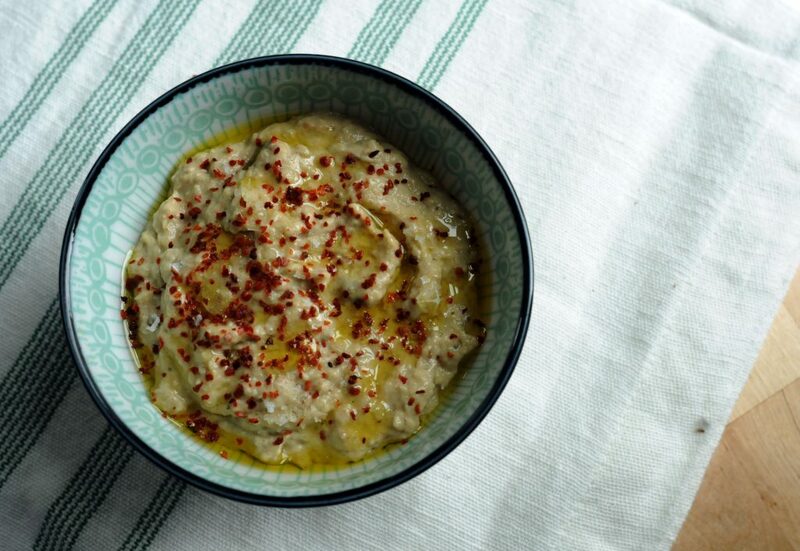 That led me to playing around with some roasted eggplant and, eventually, this dip, which is essentially a very simple baba ganoush dip. I roast some garlic in the oven with just salt and pepper, scrape out the flesh and combine with tahini, garlic and some lemon juice to brighten it up. Since I’m not longer on the low FODMAP, I added some grated garlic to this, which I mellow in some lemon juice to remove the raw, acrid garlic taste. I love Kevala tahini for this, which is available on Amazon and in many specialty markets, but feel free to use your favorite brand. 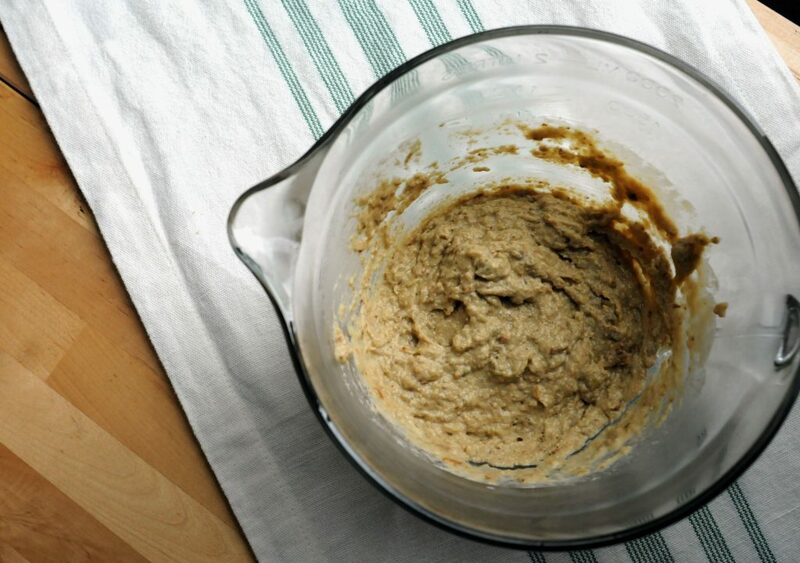 Tahini varies drastically in both flavor and bitterness depending on the brand so be sure to taste your ingredients before using! I prefer to use an immersion blender for a slightly airier texture but I stop shy of a full purée. You can certainly use a fork or potato masher for a more textured dip or go the other direction and blend until it is silky smooth. 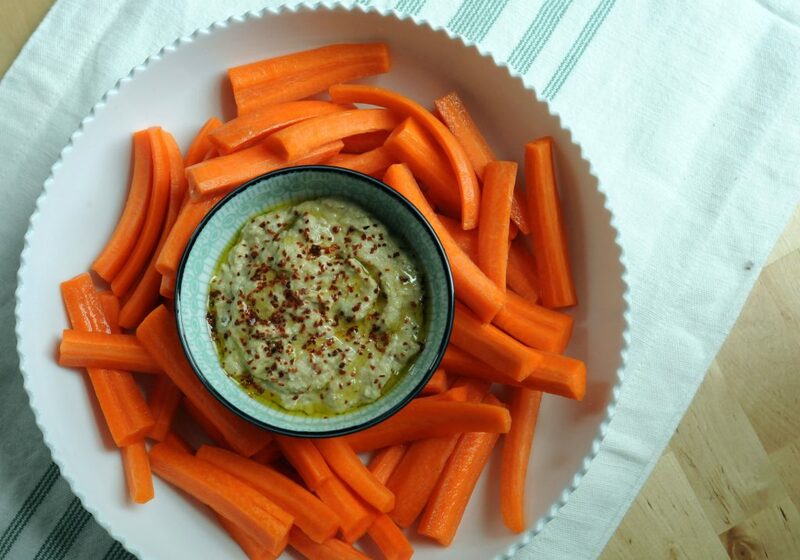 Make this on Sunday and use throughout the week as a dip, sandwich spread or salad topper. I promise it won’t last long. With rack in the center position, preheat oven to 425°. Line a baking sheet with parchment paper. Using a paring knife, score the cut side of the eggplant halves. Brush the olive oil on the cut side of the eggplants. Sprinkle with 1 teaspoon of the salt. Place eggplants, cut side down, on the parchment lined baking sheet. 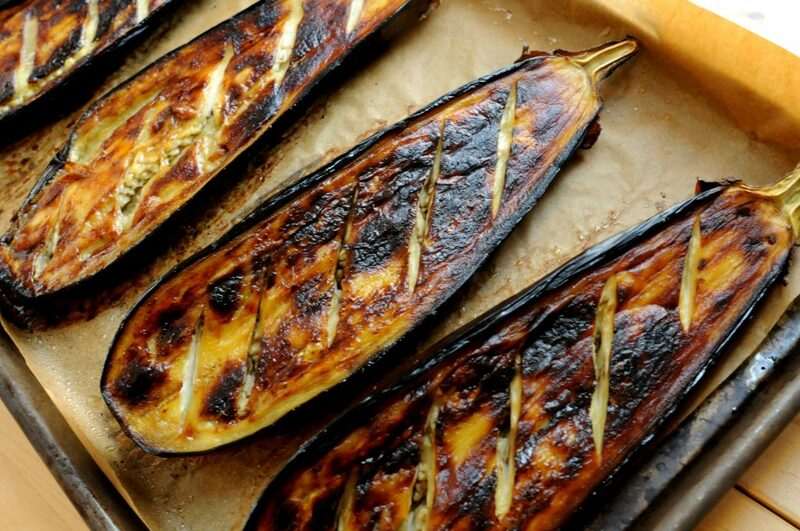 Bake for 50 minutes, until the cut side is well-browned and eggplant is soft. While eggplant cools, in a large bowl mix the lemon juice and the garlic. Allow to sit for at least 10 minutes. When eggplant is cool enough to handle, use a large spoon to scrape the eggplant from the skin. Add eggplant to lemon garlic mixture. Add tahini and remaining 1/2 teaspoon salt to eggplant mixture and stir to combine. Using an immersion blender, blend the eggplant until desired consistency is reached. For a chunkier dip, use a potato masher or fork instead of the immersion blender. 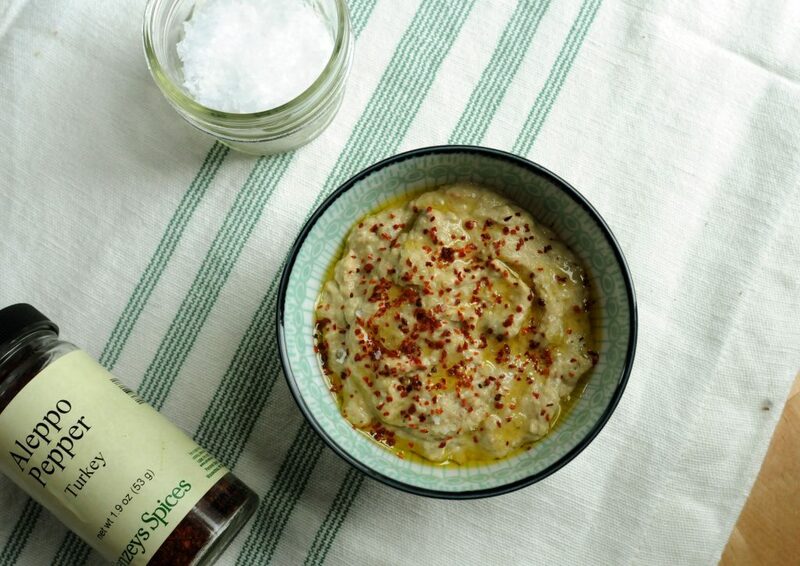 To serve, transfer eggplant dip to a bowl. Drizzle with olive oil. Sprinkle with flaky salt and Aleppo pepper (if using). Serve with cut vegetables, pita or crackers.